The fun never ends with the Busy Ball Play Table. 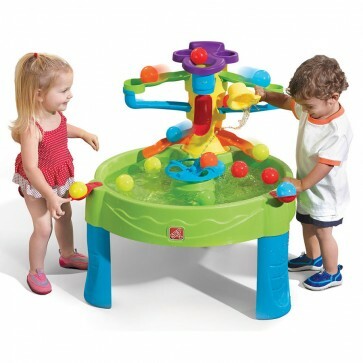 A little hub of activity, the Busy Ball Play Table will entertain your toddler and preschooler for hours. 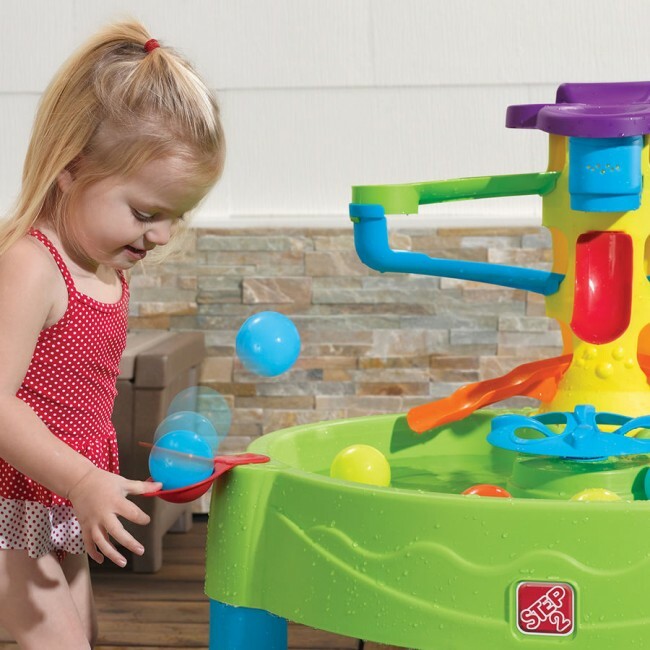 Cool off by filling the table with water, and your child will discover all sorts of ball play. 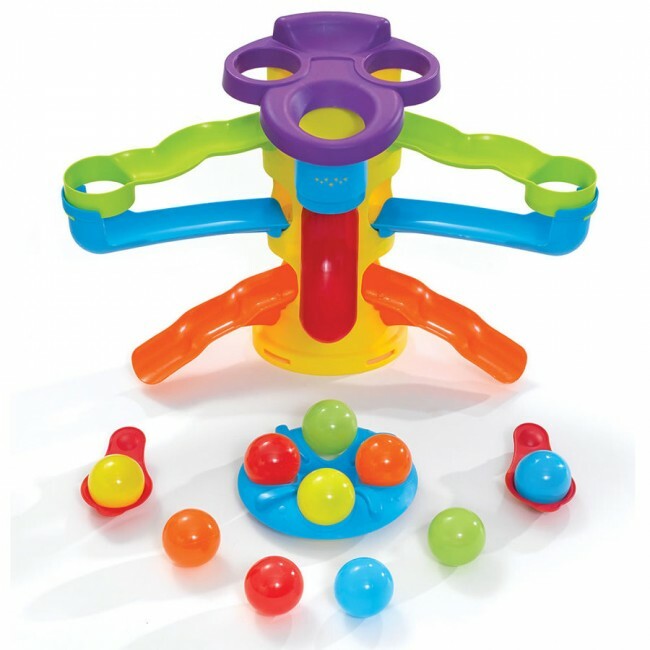 Busy Balls Table can also keep busy hands occupied indoors! Just fill the tub with dry rice or pasta wheels, or even additional balls that can be purchased separately. Hours of great sensory fun can even be found with a scoop of beans! The table comes with ten colored balls and a scoop. Just add water! 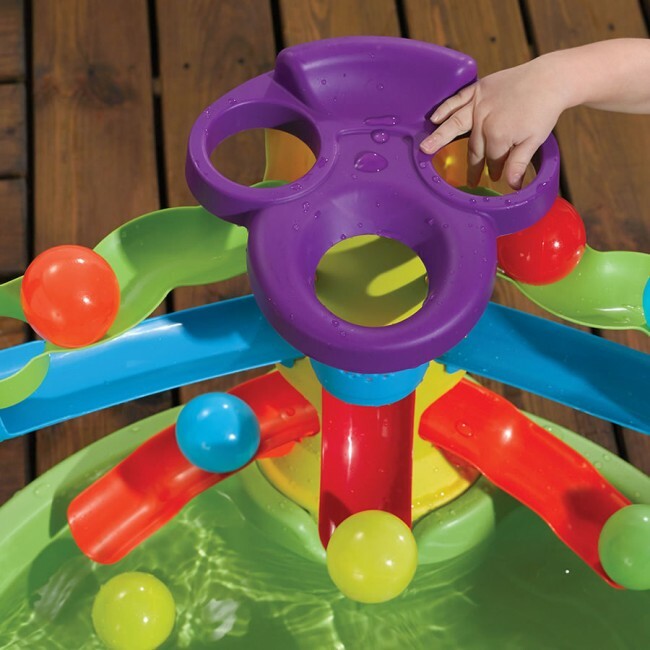 Step2 toys are considered to be a premier brand of high quality children’s playtime toys. Step2 are made from high quality non-hazardous raw products and make great toys for kids. Step2 promise durability, safety and fun for all children.